We offer a comprehensive program of permanent and mobile storage tents. Service and industrial companies need space solutions that precisely adapt to their specific requirements. Often, fast, economical and flexible solutions are sought. Orgatent specializes in the mobile and modular space requirements of their respective industries. We offer various flexible financing options – purchase, rent and lease. The warehouse and logistics solution H-LINE series comes in six different spans of 10 m to 40 m and side heights of 4.20 m, 5.20 m and 6.20 m. The special roof with double-walled, air-filled thermal roof cover excellent climate, reduced heating costs, prevents condensation, improves snow load and allows you to work in daylight. In addition, there is very little support for snow and ice. Tests to determine the efficiency of the insulating wall and roof construction resulted in a reduction of energy consumption of up to 54%. The T-Line series comes in 3 different spans (10 m, 15 m and 20 m), each with a side height of 6.20 m. The sophisticated interaction of all carriers and connecting elements guarantees a statically tested high level of stability. The special roof with double-walled, air-filled thermal roof cover excellent climate, reduced heating costs, prevents condensation, improves snow load and allows you to work in daylight. In addition, there is very little support for snow and ice. 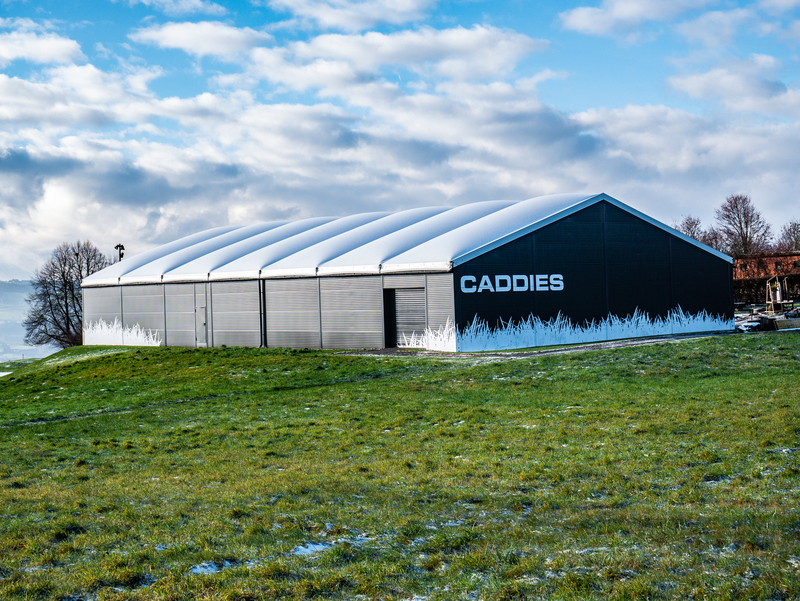 The insulating wall and roof structures of the storage tents allow – compared to other temporary space solutions – a reduction of energy consumption by up to 54%. The S-LINE series comes in seven spans of 5 m to 20 m, unlimited length in 2.50 m grid and side heights of 3.50 m, 4.40 m or 5 m and is the most cost-effective space solution for all logistical requirements. The simple use of earth or screw anchors, heavy-duty dowels, point or strip foundations is sufficient for the installation. Calculable costs, location-independent, modular designs and fast availability ensure a decisive competitive advantage.